The Best Hybrids of 2018 have been announced! Hybrids are scoring clubs. While you may use your hybrid (particularly stronger lofted ones) off the tee on the occasional par 4 or par 5, more often than not, most of us find ourselves hitting hybrids into greens. We repeat; hybrids are scoring clubs, so while we can appreciate the obsession with distance, the reality is that the best hybrids fly straight enough to keep you on or near the green, and generate enough stopping power to hold the greens you hit, often from distances exceeding 200 yards. 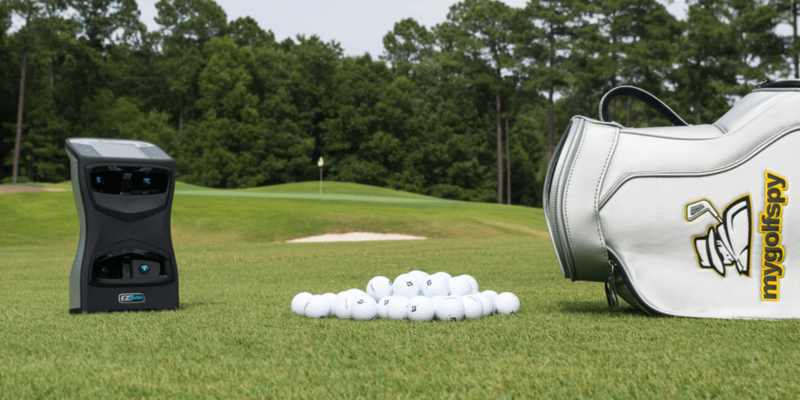 Whether you play one, two or even three hybrids, it’s necessary to choose the right ones to fit your game. This year we’ve tested 24 different hybrids, refined our metrics and added our test of statistical significance to bring you the most accurate and unbiased hybrid test in the world. We know that data matters. It is the only truly objective measurement to help you find the right equipment. For 2018 we have applied the largest connected set of head-to-head data to tackle one of golf’s biggest challenges. All testing was conducted inside our fully independent test facility located in Virginia. All testers used Bridgestone B330-RX golf balls for consistency and to reduce test variables. All ball data was collected using the world’s most trusted launch monitor, Foresight Sports. All head data was captured using the Foresight HMT device. This comprehensive dataset was then run through our proprietary Most Wanted Rankings methodology that we have developed called TRUERank. What we have developed is the most accurate test to determine the leaders in the hybrid category. For more details, see our How We Test page. What would be nice would be if MGS included the top performing club from the previous year in all of the testing. and most importantly d) providing a gold standard of sorts in comparison. I hope that MGS does this in further testing. So I compared results to prior year MGS most wanted hybrids (2017) and it appears that the Titleist hybrids 816 H1 & H2 have very different result. See for example carry/distance. What gives? You should share more of the data with us. I’d be really interested in seeing the data grouped by handicap range. I’d be most interested in the data on the golfers with +2 to -2 handicaps presented in the the format like the chart above. Different level players might benefit more from seeing how a club performs for golfers more similar to themselves. I read the chart differently than you did in ranking the clubs. The yards offline is a very important data set to me, probably the most important but I’d like to see if the higher handicap golfers are skewing the data. The Titleist H1 and Taylormade M3 look most interesting to me. The Titleist looks really good for offline, dispersion, flight and spin. I think you are “saying” all the right things in the lead in about these being scoring clubs. They are important green hitting clubs, certainly for me. What matters is it will go offline left or right (offline), short or far. I want it to fly high and land with a lot of green holding spin. You miss this in your rankings in my opinion. But the data by handicap range would be amesome information for everyone. We could pick clubs more accurately for each one of us. The data would become a much more powerful tool for me to use if I had this imformation. I know that. These results are truly puzzling. The Cobra King OS finished #1 in yards offline, shot area, and closest to the pin. All of which are the priority for a hybrid club. But the odd way of calculating results has it in the top 40%. This means distance was overemphasized, making the results more or less or bogus. Agree! Which is hilarious too because in the first paragraph of their post they talk about how distance should not be the main consideration and that hybrids are scoring clubs. Based on the quantitative test results of these hybrids, it is a mystery how the Bridgestone finished at the top. Yes, the Bridgestone had the longest carry and total distance. However, the way it achieved this is the problem. The Bridgestone also had the lowest launch angle and spin numbers, as well as the second lowest peak height and descent angle. 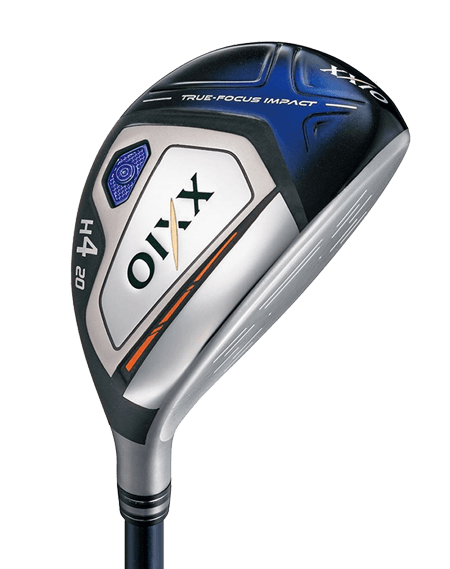 In fact, the low spin this hybrid is producing would be pretty decent for a driver. The problem is that this is a hybrid, and hybrids need to have reasonable spin, peak height, and descent angle so that they will STOP ON THE GREEN. If the main criteria is the ability to bomb a hybrid off the tee – the Bridgestone is winner, winner chicken dinner. If the main criteria of a hybrid is to use it as a scoring club or to get it to stop on a green and not roll over the back – don’t get the Bridgestone. I used to struggle from about 230 or 240. My Ping i20 hybrid was so hit and miss. Hitting 230 yard screamers (10 feet high) that run off the back of the green was so frustrating because I had to hit perfect chips from the forest, high rough or dirt to get a par. That was until i tried the Cobra King F8. the rails on the bottom of the club helps me to hit highest, straightest softest shots I have ever hit. I feel like I have a pitching wedge in my hand. Also, hitting out of divots and the rough is so easy now. This hybrid has given me so much confidence that even when I miss it is usually a short chip to the hole. It is currently 4th on the list just missing the top 3 but should be number 1 in my very humble opinion. If you struggle to keep the ball on the greens with your hybrid go try this out. Also the 3 fairway is fantastic. Like I said I am not a fan of Cobra irons but the hybrid and fairway wood is something I highly recommend regardless of swing speed or handicap. No i don’t work for Cobra, I am an IT consultant. Thanks Tony and staff for the work you put in and keep it up. I will also look to donate some money when I get paid. You have no idea how much you are helping us!!! Now to look at the driver and putter reviews so I can get some more game improvements. Oh and GET FITTED. My grip is bigger now and an added inch and correct lie has changed my golf game immensely for my irons as well. Oh i should mention that this is also my driving iron for those tight par 4s. You want your clubs to be spaced at least 10 yards in distance if you replace one and it goes 7 yards farther then the old one you need to change all your clubs. every year I try to replace my one of my Cobra Bafflers DWS 2008 models 25* 29* 32* with one of the latest and greatest but still go back to the old fatefull . If it’s not broke why replace them. I couldn’t agree more, Scott! 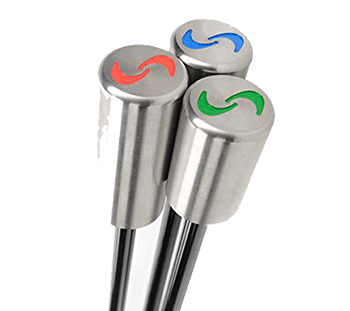 I switched over from the Adams Golf Super Red and Super S hybrids to the Cobra Baffler XL hybrids, and it is already making sound waves in my golf bag! And thanks to Cobra Golf, they are returning the Baffler style with upgrades, so I have a feeling I will be sticking with these clubs for quite some time to come! These are great clubs for hitting out of improbable lies and their design makes it easy to get them airborne. I am a Titleist fanboy but I have to admit that the Bridgestone hybrid is on a different level. Very easy to hit with the GD shaft and it is a rocket. 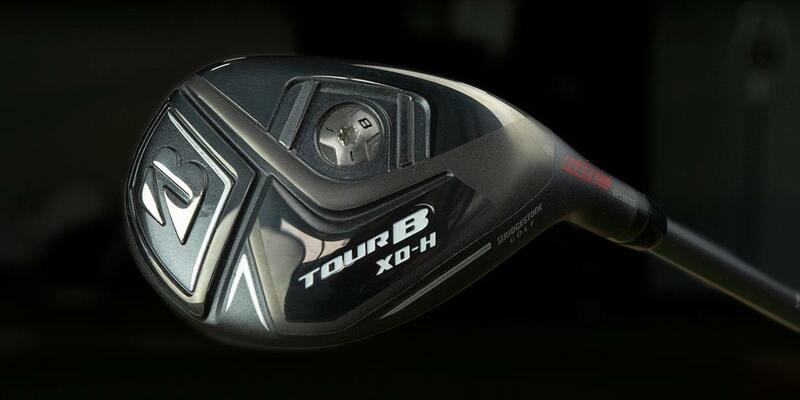 The Titleist 818h2 was also nice with the Tensei shaft but I would be in two minds if not picking the Bridgestone. I love your work; thanks for all you do. To the chart above please add some club data (especially loft and shaft length). 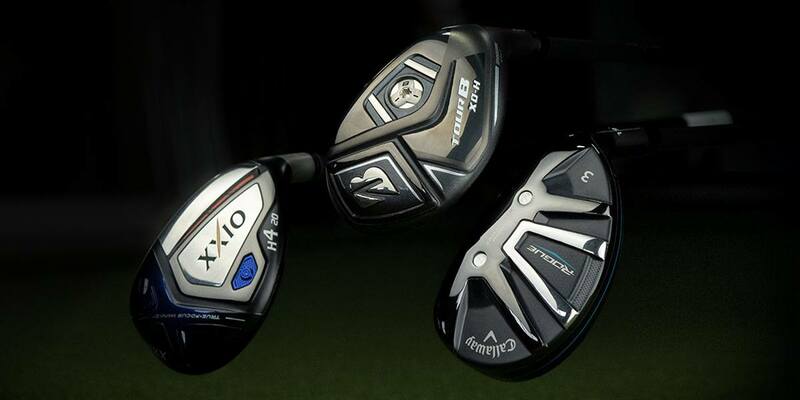 I noticed in the pictures the Bridgestone club is unreadable but looks like either 18* or 19*, the XXIO H4 is 20* and one Callaway is H3 19*. Obviously not all clubs tested were H3. What about H2, H5, H6, etc? I wouldn’t switch either of my hybrids because I hit them great. That said I have hit the Bridgestone and it is very similar to the Rocketballs but a bit heavier. Mackdaddy, just like i wouldn’t switch from the Baffler hybrids to something here just because of the survey and testing results. It takes a lot to make me want to change and considering I have seen my game improve the most with game improvement irons, I figure that should help me out for years to come! My thoughts exactly. It’s at or very near the top in all the categories that matter except distance but considering it’s supposed to be a scoring club and not a driving club, I’d trade the distance for the increased accuracy any day. I acually don’t understand why the Cobra King Oversize is not among the best. Very good stopping power, least offline, nearest to the hole and smallest shotarea, which for me would be the most important quality of a hybrid. Agreed, I understand it didn’t perform as well as other hybrids did for the majority of testers but I don’t understand why it didn’t based on the data. My guess is it was very very good for those who liked it and very bad for those who didn’t. I know it would be difficult but the breakdown by swing speed they do with the drivers is absolutely fantastic and very telling. If we had that here I think it would clear that up. They too heavily favor the distance component over accuracy in their data. Nocklaus, you’re correct in my opinion. I read it the same way. Not gonna lie, that data was enough to get me to go get the Cobra in 19 degrees. I absolutely love it. I still game an F6 Hybrid and 3w. The hybrid is an animal from 200 out. Provides a very high, long flight, easy to plant one right on the green. Would love to try the new ones, but can’t seem to find a reason to trade up. Mizuno CLK beats all of these in my experience. I find the strokes gained numbers to be useful when considering the clubs. I would not consider a change for a very small fraction of a stroke. If you can, please publish the strokes gained as part of the table. Thanks. 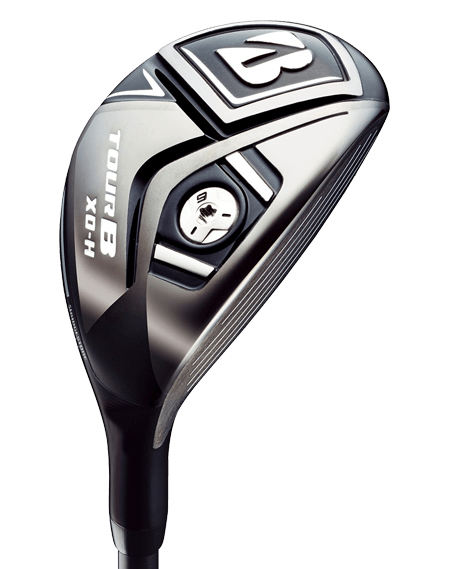 Has any testing been done with the Cobra One Length hybrid? I’ve been curious if a hybrid with a seven iron length shaft even be close to a typical hybrid of a similar or same loft. I was fit for cobra for the One Length Irons at a 9 Iron length. The Hydrids are the custom 7 iron length. You can feel the weight in the head very nicely. The distance is up there with my Ping G Hybrid. The one length, due to it’s length is much more accurate. Very easy to hit solid. For my height 5’7″, the shorter length has not resulted in a loss of distance and a definite increase in accuracy. Nice test once again and I appreciate your efforts in trying to provide data based testing instead of the normal ‘it feels good testing’. However in this case you’ve lost me – how can the Ping, Cobra and M3 models finish so poorly when they actually have a tighter dispersion which is the whole point to hit it where you aimed after all. Realizing that there isn’t too much difference in the various clubs these days you would think that dispersion would factor much higher. And I agree some sort of description/ summary from the testers is really needed. Even with your document, I just can’t see how a hybrid that is so low down the dx to hole rankings and which spins so low (who wants a low spinning hybrid???? We want them to stop) can win first place. Looking at your data, it strikes me that others are worthier. Nice to see the Wilson Staff D300 in a tie with the bunch at #4. I’ve been playing theses hybrids for over a year and love them. However, it’s impossible to order any more with my specs, even from W/S. They must be about to discontinue them, and the C300 doesn’t seem to be a better club. Disappointing. It is likely impossible due to time constraints but due to some comments and follow ups about averages being across the spectrum of all testers, its really hard to draw conclusions without a breakdown of the numbers within an additional metric (sort of what you see with driver testing). But, again this might be too time consuming to be feasible. You lost me at hybrids are scoring clubs. For the majority of hybrids the are hook machines, since most of them are so closed. Shorter clubs will almost invariably prove to be more accurate (especially when paired with high spin rates), which is why it finished so well for accuracy and shot area. With Strokes Gained methodology, we can, to a degree, flat line things a bit. What if the OS was as long as the Bridgestone…or what if the Bridgestone was a short as the Cobra. What would things look like then? With respect to pin proximity, it’s much the same counterargument. It’s probably been too long since we discussed it, but pin positions for irons and hybrids are determined by how far each tester hits each club. Let’s assume our averages are just from one tester and lets say (because it’s close to the average and it’s a nice round number) our pin was set at 200 yards. Any club that inherently traveled less than 200 on average would be at a disadvantage. Any club that similarly traveled more than 200 would also be at a disadvantage. So to make things fair and reasonable and not force testers to try and step on a handful of clubs, and back off another handful, we set targets based on how far each tester hits any given club with a ‘normal’ swing. So what happens as a consequence is that the target distance for the Cobra OS is shorter than the target distance for the Bridgestone. Again…shorter distance to the pin, the expectation is tighter proximity to said pin. The way that we rank clubs is not based purely off of average launch characteristics for each club. While I understand that this can be confusing, please refer to our “How We Test and Rank Clubs” page which I have provided the link to in this comment. I have been a hybrid hater for years before trying the Cobra Oversize Hybrid on a whim during a demo day at my club. I’m a +2 with a high swing speed and this club is like throwing darts. I use the 3-4 and it’s my 235 club. Seriously this club is a total sleeper! Not at all surprised it’s the straightes with the smallest shot area. But to say it’s short in my opinion and from my personal use is a completely false. I do realize I was not the type of golfer this club was designed for but it simply works, and works really well! Even the stock Recoil shaft is great. It replaced a Srixon U65/KBS Prototype. I’m not a golf pro, or even a low handicap player, but in my experience the hybrid works out better for ME, based on the variation of locations I have to hit it from. (Rough, hardpan behind trees, etc…) If every shot was from the fairway (I’d be a better player, #1) I’d probably prefer the 5w. I have an older Callaway Diablo 5w, and it’s a rocketship. Anthony, having been working with GolfTec and Golf Town in terms of testing…it all depends on how quickly you can get under your golf ball. Some pros go with the driver and 3 wood while other pros include the 5 wood along with the driver and 3 wood. However, having said that, the question is do amateur players need a 3 and 5 wood or just a 4 wood and a 3 hybrid, It all depends on what you can do and what you’re trying to accomplish! I dropped my #3 hybrid and bought the Callaway Fusion #5 and never looked back. It is my second shot club on par five’s and hits in the neighborhood of many 3 woods for me. My Fusion driver usually keeps me in the fairway and this 5wood is very good at making solid contact from most lies. I have done OK with a #3 hybrid but not with the confidence, ball flight and distance the Fusion #5 delivers. I used to play the Adams Super S hybrids, but have quickly become attached to the Baffler hybrids (I currently play the 4 and 5 hybrids in these hybrids. I see Cobra has brought them back so I will be interested in upgrading them as well. I see the adjustability there as well as the baffler sole that helps get the ball airborne from any lie. I am very surprised that I don’t see any of the newer baffler hybrids ranked! They are the penultimate clubs for me and anyone who tends to spend his or her fair share in the rough or other difficult lies. Normally, with MYGOLFSPY tests, I can easily understand why certain golf clubs are considered to be the best. With the Hybrid test, I’m totally lost! The winner, Bridgestone’ s only advantage appears to be total distance. Easy to understand as it is the lowest spinning of all of the hybrids tested! Mind you all of the hybrids performed very well indeed. I can’t understand why the COBRA KING Oversize is last as the three key qualities; off line, distance from hole and shot area are the best. What was the basis of your rankings???? The how we test page is linked in the article. I’ve said this before. I hate the1,2,3 without the little snippet outlining the good the bad and the ugly these mean very little. I love what you do here but without the write up about the pros and cons I really usually regret even clicking The link to get here. It’s really just pictures of new equipment. I don’t believe your main supporters and readers of mygolfspy read the paragraphs and paragraphs about how many shots, high low swing speed, hi lo handicaps and how data was collected and normalized. Etc. This leaves us like okay what made th Bridgestone better than the ping etc. the write up speaks volumes. Without it I feel it’s just pictures and words. We’re listening. We’re hoping to start with game-improvement irons, but it may not happen until next year. The plan is to bring back some of the beyond the data type stuff that will be published in parallel with the test results. Knowing the lofts would be interesting. Last iron test gave me nothing, since the numbers was so close I could actually had gone with either one. So, please some thoughts about looks, feel and stuff like that. Tony that’s a wise move considering top Senior Tour players like Kenny Perry have played the same game improvement irons as myself. And for those of us who don’t hit the ball as pure with a player’s iron and yet we know with a GI iron we can still go low, that gives us all the confidence in the world! Looking forward to seeing the rankings then as well as seeing where the newer Cobra Baffler hybrids fit in! They;re top notch in my books! One man’s junk is another man’s treasure. Just because they’re highly rated doesn’t mean it’s the one for you. They certainly point you in a direction. Gotta try ’em yourself. You may do nothing more than look down at great performing club and say no thanks. Next. That said a breakdown of age and/or handicap would be helpful. And I’d go the other way. MyGolfSpy doing some great work with the data… But not enough transparency. [oops] … that manufacturers would pay for. I’m curious about the results. As you say in the top piece, hybrids are scoring clubs, but the top winner seems to be the winner because it went the furthest. It wasn’t close to the top in the offline, distance to the hole, or shot area. And the reason it went further is it spun so low that in real world conditions, no one would be able to hold a green hitting a hybrid with 2500rpm of spin. Is the TrueRank settings the same for Drivers as it is for Hybrids? Totally agree with Robert. These are scoring clubs, so accuracy should be at a premium. Bridgestone is bottom third based on your data in terms of Distance to the Hole and 3rd worst in Shot Area (which I assume is a measure of dispersion). How does it end up #1? It seems to excel at distance, but who wants long and wrong with a hybrid? Please explain. Agreed. I will say though that I’m happy that they publish all the data because I would be thinking the King Oversize is best for what I am looking for a hybrid to do. (ie. hit the green from 180-200 yards away). Again – you’re looking at averages across a pool of 20 different testers. You may see trends, but the averages provide no indication of whether one club outperformed another by a reliably different margin for any given tester. That’s what we look at behind the scenes. Shot area is a measure of dispersion. It’s a good metric, but like any golf metric, it also has flaws. For example, one bad shot can significantly impact the dispersion area. Rankings are based on strokes gained and then the statistically reliable of strokes gained differences. You may claim long and wrong, but in simple terms, we found that the Bridgestone produced a top-tier Strokes Gained value for the highest percentage of our testers. All of our tests rely on strokes gained as our performance metric. Once we have that value, we evaluate the data for statistical significance. The rankings boil down to things that aren’t readily visible in the data. Strokes gained values are incrementally better from green to fairway to rough. Averages are based on 20 testers of different ability levels and can sometimes get a little wonky. We go beyond the averages to consider whether the differences in individual averages are reliably different. All in the how we test page. I don’t understand how you can say your average data can be misleading when the page that describes your testing protocol says you remove outliers from colected data and look for 10-12 quality shots from each tester. It just looks like the strokes gained metric used favors distance. If you think a hybrid is for teeing off short holes and advancing it on par 5s that’s fine. You, however, assert they are scoring clubs. If that is the case accuracy should matters more. I assume the strokes gained metric you use is different for wedge testing than for drivers. There are subjective elements to formulating this(yes?). It looks like the metric and the story in this case don’t align. Then you rank the clubs without telling the reader how exactly did a 20 HC do statistically with the Bridgestone compared to a 5 HC? Averages should be based on 20 testers of the SAME Abilities in the same HC range. For 1 to 5 HC the results may be completely different from 15-25 HC from club to club. There is no way you can compare averages when the HC is so far apart. How can you claim best hybrid, when no one has a clue what handicap the club performed best for? Test companies use the Iron Byran for a reason. It swings the same. When you try to gather data when there is such a wide range of handicaps, it just does not add any value what so ever. I am pretty sure you would come up with 3 Best Hybrids, one for each group and not just one. How do you differentiate a 70 year old's ball speed versus the average ball speeds of all clubs? You cannot. So anyone with a ball speed less than 118 to 121 mph these results are worthless. So many things wrong with your comment. 1) The actual HCP range of our test pool is from scratch to about 12. We sometimes include higher handicap golfers, but it can be difficult to get the requisite number of good shots in a timely fashion from higher HCP golfers. 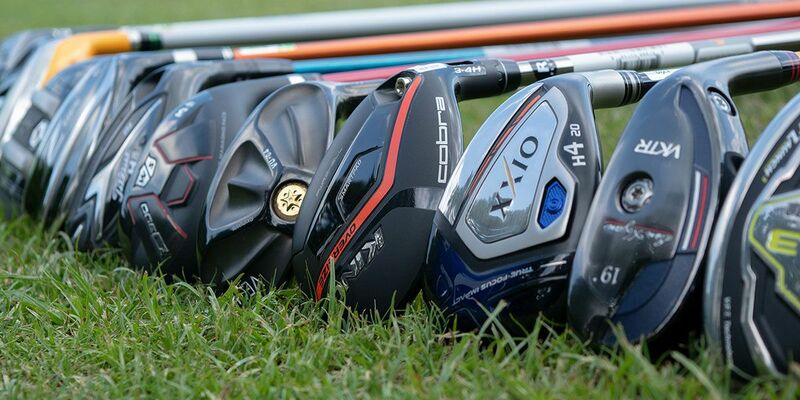 -Which club was best for golfer 1? -Which club was in the top group for the highest percentage of testers. 3) Golf companies use iron Byron primarily as a development tool. Every golf company I’ve ever had conversations with on the subject (which is all of them) rely much more extensively on human testing. This is a fact. The rest of your rambling has been addressed in point 2. I honestly have never been to a professional website where the editors actually argue and talk down to people that disagree with them. This isn’t the first time. So very unprofessional. Typical of our society, disagree and instead of just being polite, you become rude. Pretty laughable at this point. I couldn’t agree more. Yes I want it to go far, but a few extra yards is absolutely nothing compared to it actually going the same place every time. Any decent player can adjust his shot area to put the center of his shot area on the center of a target after a few hits. OK some take longer than others but its still the point. Second is it needs to come in high enough to stop on the green. Things like launch angle and spin are just how they get it to go high and far enough. In a separate argument, forcing them to hit a club that naturally flies 180 to a target at 170, or 190 completely also renders that info useless unless your letting them hit this club 1st without a target then let them pick their own target that best suits that club for them. If you do that then I didn’t see it on the how you test page. This test (and, sadly, the vast majority) reveal one pure truth: the differences between these clubs is very small. 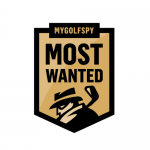 Ranking any club as “most wanted” holds no water. While it is fun to see new clubs lined up against each other, the results for all of the “most wanted” tests are the same: lots of good clubs—now go get the one you are drawn to and can hit well! After the Bridgestone there were 10 hybrids tightly bunched together. looks like a lot of manufacturers are making great hybrids. Hi Wilson, while this is the conclusion that many have drawn – it is not quite correct. 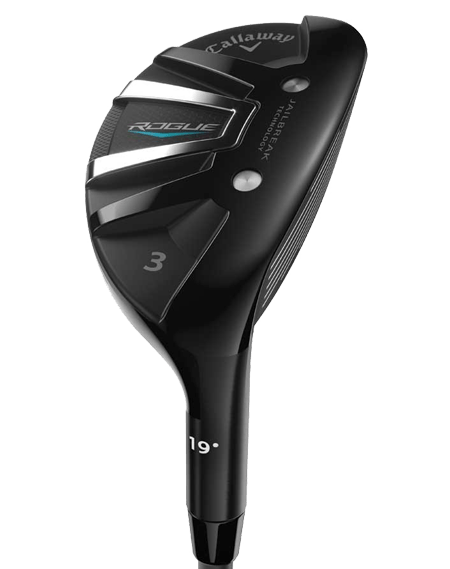 Thus, off the shelf a 10% – 25% chance that I could have bought a more suited club in the Bridgestone? That is a notable gap in hybrid performance – odds I would not want to take. But then again neither is the 30% chance the Bridgestone does not suit me! What did you normalize the data to? Not to be nitpicky, but I see pictures of what appears to be both 3 and 4 hybrids. It would seem that if you were testing these you would want to compare apples to apples and keep them all the same. No doubt every manufacturer of hybrids makes a 3 hybrid. I agree these should be considered scoring clubs, but then you can’t knock points off for distance if they gap out better with your highest iron simply because they didn’t go as far as the next guys. If this club was replacing a 3 iron in the bag i would want stopping power. I love Mygolfspy but instead of printing a commercial for your testing method each test, how about explaining in more detail how you determine each clubs performance compared to the others. I have no idea what “shot area” means, but I can see that the 2nd and 3rd place clubs both beat the so called winner in the accuracy and spin numbers. Again maybe I am missing the point, but I am a numbers guy, so if you are going to put up numbers how about more details in how these are applied to value. These “metrics” are not the secret formula for the atomic bomb after all. Tour Edge with 2 contestants in the top 9. Performance from a little guy on the block. Great to see. Nice work as usual MGS. That said as I only carry one the King Cobra f7 (2017’s consensus #1) isn’t coming out of my bag anytime soon. I rarely pay MSRP for anything but the 2-3’s always fly off the shelf. Bit the bullet on that one. Worth every penny.